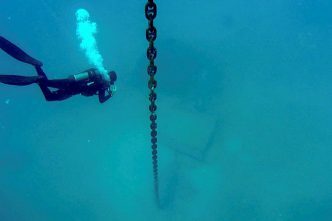 The Royal Australian Navy has stopped its longstanding program of using pressurised submarine escape training to teach crews how to exit a stricken vessel. 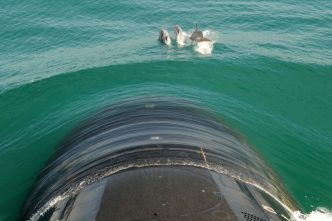 The decision to stop submariners practising escapes using a tower containing a 22-metre-high column of water would not have been taken lightly, so let’s consider the issues that would (or should) have been considered. The navy says that practising this technique is too risky and that it’s introducing alternative escape training. USS Squalus sank in 243 feet of water in May 1939 after a valve indicator suffered a mechanical failure. All 33 of the survivors were rescued using what’s known as a submarine rescue chamber, versions of which are still in service. It’s the only time that survivors of a sunken submarine have been rescued. In June 1939, HMS Thetis sank just outside the English city of Liverpool. Despite the submarine being so close to the surface that its stern was lifted clear, 97 of the 101 on board perished because one of the submariners became trapped in the escape tower. In January 1953, HMS Truculent sank in the River Thames estuary following a collision and, although 64 of those who survived the accident made a successful escape, all were swept away by strong currents and 57 died from exposure. The Peruvian submarine BAP Pacocha sank in August 1988 after a collision with a fishing trawler. Thirty-three of those aboard were able to abandon the submarine before it sank, but several of the 22 trapped inside suffered injuries, some fatal, because of their unfamiliarity with the escape systems. The Peruvian government had stopped escape training to save money. Once a submarine sinks and can no longer surface, it’s termed a ‘distressed submarine’, or DISSUB. Conditions are likely to be fraught for those who have survived the initial accident. They face decisions that will drastically affect their chances of survival. The choice of whether to attempt escape or await rescue is heavily influenced by the conditions on board. If the situation is deteriorating rapidly, escape may be the only option. In simple terms, the escape system involves equalising the pressure between the inside and outside of a specially equipped airlock (the escape tower) so that submariners don’t get compression sickness when they ascend. Each crewmember wears a suit that has a venting lifejacket and a hood to contain the vented (and exhaled) air. The hood keeps their head in air so that they can continue to breathe ‘normally’. The escape system has been tested down to 180 metres, which generally equates to the depth of the edge of the continental shelf. The escape is performed via the tower, which can be flooded in a short enough time to prevent nitrogen from being absorbed into the bloodstream. At the same time, an inflation system pumps air into the lifejacket at a pressure that is kept above the pressure inside the tower as it floods. Once the water pressure inside the tower is the same as the sea pressure outside, a spring in the upper hatch overcomes the sea pressure that has been holding it shut and the escaper floats to the surface. The ascent itself is very rapid—up to 2–3 metres per second—but it’s cold and dark until you approach the surface. Those who have escaped at depth describe a simple and relatively comfortable experience when ascending from about 90 metres. But beyond that, it gets physically harder and, from about 150 metres, it’s increasingly risky and frightening, especially in the tower itself. For the escape to be successful, all those involved need to be trained and, most importantly, confident that the system works. Up until now, that has consisted of a combination of theoretical and practical training using a purpose-built submarine escape training facility—a tower containing a 22-metre-deep water column with an escape tower at its base. The facility was built at HMAS Stirling in Western Australia in the mid-1980s and has long been regarded as one of the best in the world. Apart from some training accreditation shortfalls—partly due to instructors being exposed to an accumulation of high pressure levels through a combination of professional and recreational diving—the rate of accidents has been remarkably low. Turkish research, for example, reported 41,183 training ascents from 30 and 60 feet (9.1 and 18.3 metres) without serious injury. A low escape-training accident rate has also been reported in Australia, the United States, Canada, Japan and Germany. 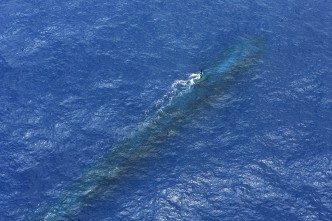 In 1999, Lieutenant Commander Robyn Walker (later surgeon-general of the Australian Defence Force), noted in the context of the Australian submarine escape and rescue organisation that ‘the RAN has an obligation to make every practicable effort to provide the safest work environment for its personnel’. In that same year, the navy’s Submarine Safety Board endorsed a safety assessment that recommended continuing with pressurised submarine escape training. The training involves comprehensive practice with the mechanical systems and procedures in line with the established principles of competency-based training and assessment. It is, of course, unable to replicate the physical and psychological environment of a submarine accident, so one hopes that the messages conveyed during the training are strong enough to remain in place when stress levels are extreme. The most important message that I took away from my own experience of escape training was never to hold my breath. This is a very real application of Boyle’s law, where the volume of air in your lungs increases as you rise into shallower water. The most difficult part is the final 10 metres when the air volume doubles and, if you haven’t sorted out your breathing—or continuous exhaling if the suit hood has been torn—you’re very likely to burst your lungs. 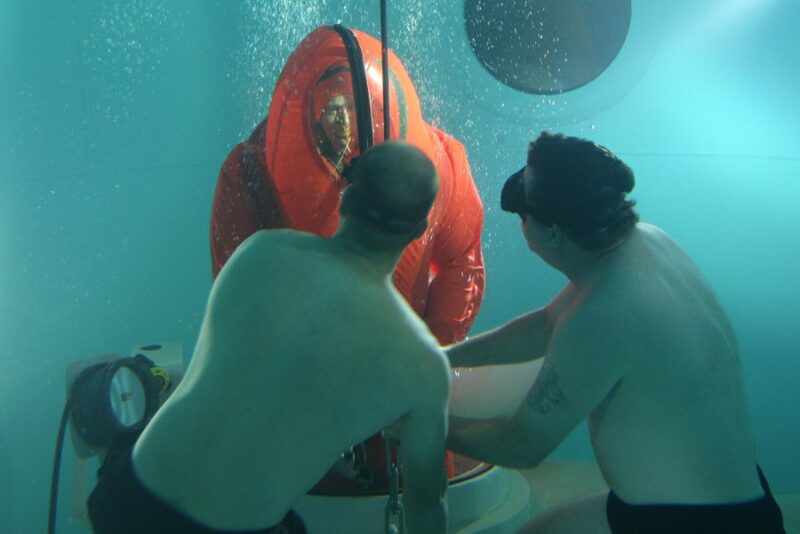 While everyone hopes that the need for a real escape from a sunken submarine will never arise, it would be a great concern if the first time a submariner has the physical and psychological experience of escape is in the dark, in cold water, with no instructor support, and when their life—and those of their colleagues—depends on their capacity to remember the drill. The escape process clearly contains risks—some during training and many in the actual escape. It may be possible to avoid the training risks, but that merely transfers them to the poor person who’s next in line to climb into the escape tower for real. As a doctor specialising in underwater medicine said to me in 1999, the risks of doing escape training are far less than the risks of not doing escape training. ‘The Royal Australian Navy provides its submariners with extensive individual and collective training throughout their careers. This training is regularly reviewed and updated. Navy recently conducted an extensive review of its Pressurised Submarine Escape Training (PSET) program, including assessing the escape training requirement (pressurised or unpressurised) against the contemporary work health and safety standards. ‘As an outcome of this review, Navy will now deliver submariners a new Submarine Abandonment, Escape and Rescue training package. 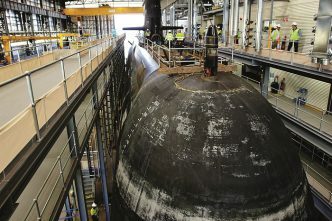 The Submarine Enterprise, through an integrated project team of representatives from Defence and industry, is managing the transition to the new training. ‘These important changes see the Submarine Enterprise shifting from an historical escape-focused construct to a more comprehensive and contemporary SAER concept aligned to the context of Australian submarines and their operations. ‘The safety of the submarine and its personnel is inherent across all activities of the Submarine Enterprise. Safety is best achieved by ensuring design, upkeep, update, upgrade and operations are always conducted at a high standard. Frank Owen is a former submarine officer who, as director of the Submarine Escape and Rescue Project, introduced the Australian Submarine Rescue Vehicle Remora. He retains an active interest in all aspects of submarine escape and rescue. Image courtesy of the Department of Defence.